A Raspberry Pi is a tiny computer that can fit in the palm of your hand. It was originally designed with the goal to create an inexpensive device that would help children learn programming skills and understand hardware at the pre-university level. 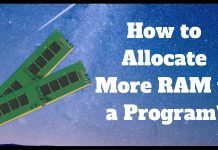 However, due to its small size and affordable cost, it was quickly and widely adopted by tinkerers, inventors, and electronics enthusiasts to make projects requiring more than a basic microcontroller to function (such as Arduino boards). The Raspberry Pi is designed for operating with the Linux operating system, and many Linux distributions now have a version optimized for Raspberry Pi computers. Starting with Raspberry Pi can be intimidating if you are not sure which project you would like to start working on. We reviewed the best Raspberry Pi starter kits here so you can choose your kit and get computing more easily. The Raspberry Pi 3 kit from Smraza comes with a two-piece ABS enclosure case that snaps together around the Raspberry Pi 3 & 2 Model B. This kit includes other items like one 16GB SD card, one HDMI cable, 1 breadboard with 400 tie-points, one 40-pin GPIO cable, one extension board, ten male to female jumper wires, 5 red and yellow LEDs, twenty 330R resistors, and other useful components. The case is slim and transparent, enclosing the Raspberry Pi board securely and being lightweight. 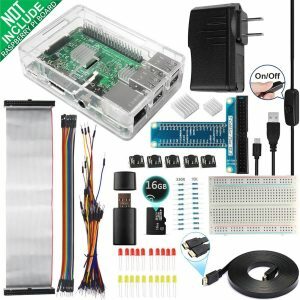 The kit is the perfect set of components needed alongside a Raspberry Pi computer to start working on projects. The power supply contains a switch, making it very easy for you to power down the Raspberry Pi board. The heatsinks come with a high-quality 3M adhesive backing on them and are very easy to install. The Pi board is not included with this kit. The case has cutouts made for the GPIO pins, camera, and video, so if you are looking for a completely enclosed case, this is not a good one. One GPIO quick reference card. 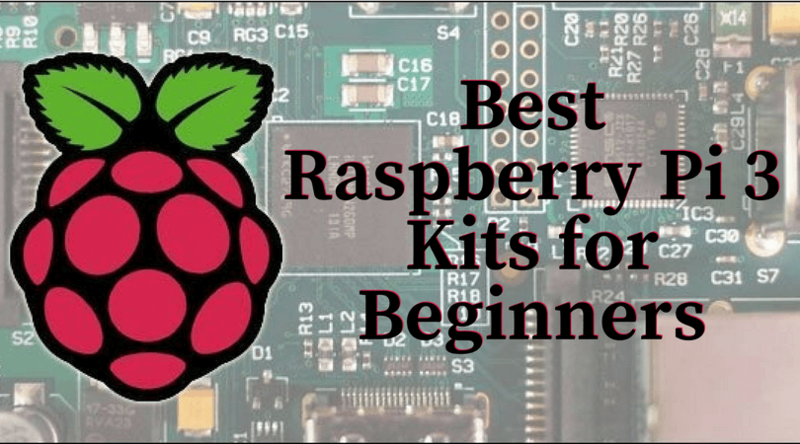 If you like to tinker or love to work with different projects on Raspberry Pi, then this basic starter kit from Vilros is for you. It comes with one of the fastest and coolest Pi member, the Raspberry Pi 3 Model B. It also comes with a UL listed 2.5 A USB power supply with micro USB cable and noise filter, specially designed for the Raspberry Pi 3. The kit also has a transparent case with all ports easily accessible from the outside while providing ultimate protection to the Raspberry Pi. The case also includes a mounting slot and a few screws for a Raspberry Pi camera module (not included in this kit). This Raspberry Pi 3 kit also comes with two heatsinks. All parts of the kit are covered by the manufacturer (Vilros) with a 1-year full warranty. This Raspberry Pi 3 kit from LoveRPi is a great option for all creators and project makers as it has all the necessities for making new and amazing projects. The kit contains a single board computer Raspberry Pi 3 as well. The board has a 1.2GHz quad core processor, 1GB RAM, a graphics processor, 4 USB Ports on shared bandwidth, one Ethernet port, one HDMI port. The board is also packed with one microSD slot, one connector each for cameras, displays, and micro USB. The kit comes with two heat sinks with 3M thermal adhesive tape. The 5V 2.5A micro USB power adapter included is the best for getting the most from your device and accessories in this kit. The kit also has an 8GB microSD card optimized for the Raspberry Pi 3 board with the latest version of the Raspbian Operating System. The clear and durable case provided in the kit supplies all the protection needed for this board while displaying all the connectors and ports on the board. 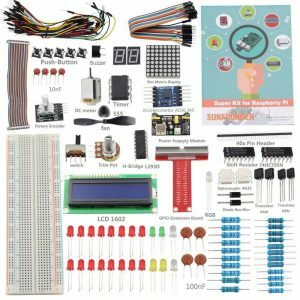 This is a Raspberry Pi 2 kit from SunFounder that also works for RPi 3. The kit has an amazing range of accessories to aid you in your projects. The entire package comes in a well-designed case, of which there are eight grids to store the components by category as and when required. 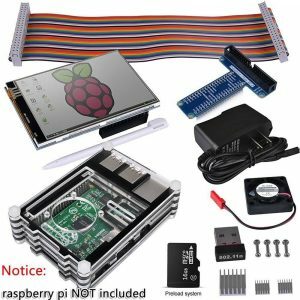 The Raspberry Pi computer is not included in the kit. Other components in the kit are: one RGB LED, forty pin headers, one timer, one motor driver IC, five buttons, twenty-six resistors of different values, one power supply module, twenty-two LEDs of different colors, and much more. The user manual that comes with this kit includes detailed instructions on creating 15 different kinds of Raspberry Pi projects. This Kuman Raspberry Pi starter kit works for both Raspberry Pi 3 and 2. Many call it a complete package because it has all the essentials to get you tinkering and working on DIY projects. It comes with an LCD screen and a 16GB memory card. 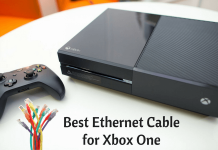 No external power supply is needed along with the kit. The 16GB memory card has a preloaded system, so you only have to insert the card into your Pi 3 board and connect the LCD panel for it to work. Other components in the kit include one transparent case for the Raspberry Pi board, one power supply of 5V & 2A, one Wi-Fi USB adapter, one fan, and three heat sinks. 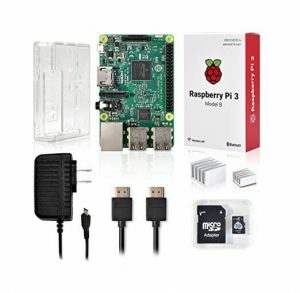 This Raspberry Pi 2 kit is given by CanaKit specifically for Raspberry Pi 2. It’s an exceptional bundle for the tech geek who enjoys building computers and tinkering with electronics. It is also one of the best starter kits for those who are just setting their foot into self-computing. The package includes one of the latest models of Raspberry Pi 2, i.e., Model B which has a quad-core processor and 1GB RAM. Along with the board, the kit contains one 8 GB microSD card pre-loaded with NOOBS, one WiFi adapter, one 2.5A USB power supply, one Raspberry Pi 2 case, one HDMI cable, two heat sinks, and one CanaKit full-color quick-start guide. Sometimes the SD card gets stuck inside its slot which is very small in the first place. It takes a lot of hard work to get it out. 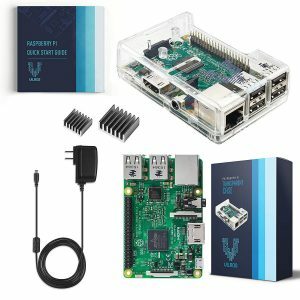 After going through all the Raspberry Pi starter kits reviews here, you can easily select one based on your project requirements. 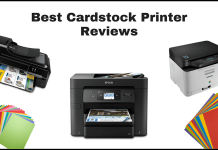 We hope our list above has helped you in making an easier decision. Have you ever wanted to make your own robots, build your own digital clock or camera, or design an automatic dog biscuit dispenser? The geeks at heart would have a swell time just by dreaming of achieving this one day. Well, you don’t have to dream anymore as Computer Science and Electronics can now fit into the palm of your hand. Yes, we are talking about Raspberry Pi. If you are someone who hasn’t yet heard of Raspberry Pi, it is time you must! Raspberry Pi is a small computer, the size of a credit card that can perform basic computing functions and was intended to be used as a tool to teach Computer Science in developing countries. 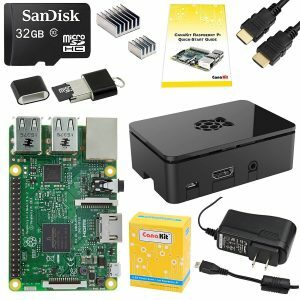 The Raspberry Pi starter kit has the Raspberry Pi model with a keyboard, mouse, SD card, and an HDMI cable for connecting it to your TV or computer. The production started with Raspberry Pi One. The latest version available in the market is Raspberry Pi 3. This is an improvement over the previous model, Raspberry Pi 2, and has a built-in WiFi and Bluetooth option. This 85.6*56.5mm computer has a 1GB RAM and a 1.2GHz processor. How can you learn Electronics with Raspberry Pi? 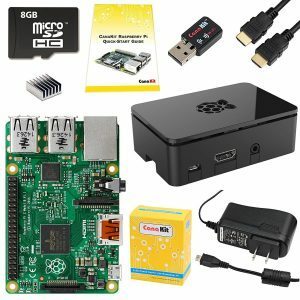 There is a range of Raspberry Pi starter kits available for those interested in learning Electronics. The basic starter kits come with electronic components such as resistors, LEDs, thermistors, photo resistors, switches, wires and a breadboard. You can now easily make your own circuits and learn to put all that Electronics theory into practice. 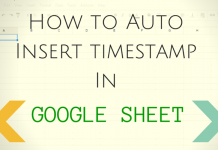 Tired of having to design all those circuits on your computer? You can make learning fun by using the Raspberry Pi starter kits to build switching circuits and designing alarms. You can use the same kit to build a microprocessor with an integrated circuit as well. 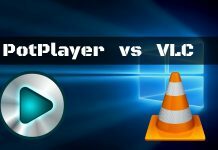 So, you not only learn how things work but also understand the concepts and techniques behind them. Thrilled about the possibilities of what you can build with Raspberry Pi? Well, you will not be disappointed when you learn that you can create electronic jewelry, electronic locks, flashing room lights, and even a robot with your Raspberry Pi kit. You can also use other circuit boards as an interface with your Raspberry Pi kit. 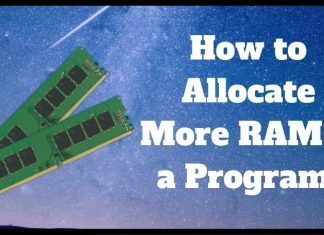 This is extremely helpful when you want to build something that you want to build for your convenience at home. You can use your Pi to water your garden. All you need to do is connect a sensor to monitor the moisture content, compare this to the optimum levels, and then send automatic instructions (through code) to water the plants. You can also use the Raspberry Pi kits as individual blocks to build a bigger computing block that can then be used to build a smarter computer. The list of benefits of Raspberry Pi is endless. 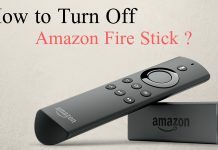 In an ever-evolving digital world, it is extremely vital that one understands the basics of Electronics and the Computer Science and goes on to harness the power of technology to improve the way of life. And, we think that owning a Raspberry Pi starter kit is the best way to address this.